I've heard good things about Rajasthan from friends who have visited the region. Our first stop in Rajasthan was the Pink City of Jaipur. I was looking forward to exploring this region after experiencing the craziness of Delhi, Agra, Kolkata, and Varanasi. The cold wind trickled into the cabin of the train, the Indian countryside whisked by, day turned into night as the sun's limp fingers slowly rested on the other side of the world. It took approximately 6 hours by train --- I was finally in Jaipur, Rajasthan. Delhi isn't just a fast-paced city that attacks the senses from all corners, it is also rich in history and culture. 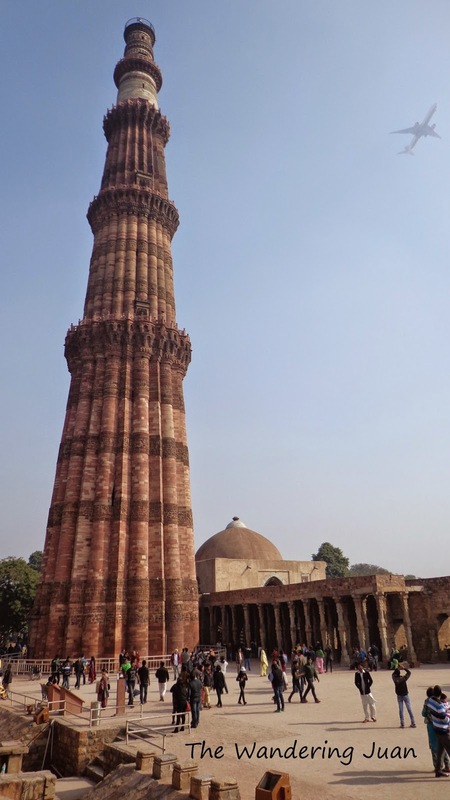 My friend and I managed to visit one of the most prominent ancient ruins in India, Qutub Minar. Delhi is a fascinating place to visit, with its crazy traffic, poverty, history, and distinct culture. We didn't get to stay long in this crazy, beautiful city, but it was a fun ride nonetheless. When people mention Agra, the first thing that comes to mind is the Taj Mahal. But there is another noteworthy attraction just a few minutes from the Taj. The Agra Fort is a destination you can't miss while in Agra. Aside from the Ganges River and the surrounding chaos of Varanasi City, Sarnath Temple is a noteworthy destination for intrepid travelers.